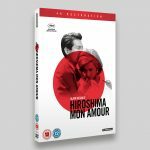 Hiroshima Mon Amour is Alain Resnais’ 1959 groundbreaking first feature, a springboard for the French New Wave movement and its influence continues to this day. 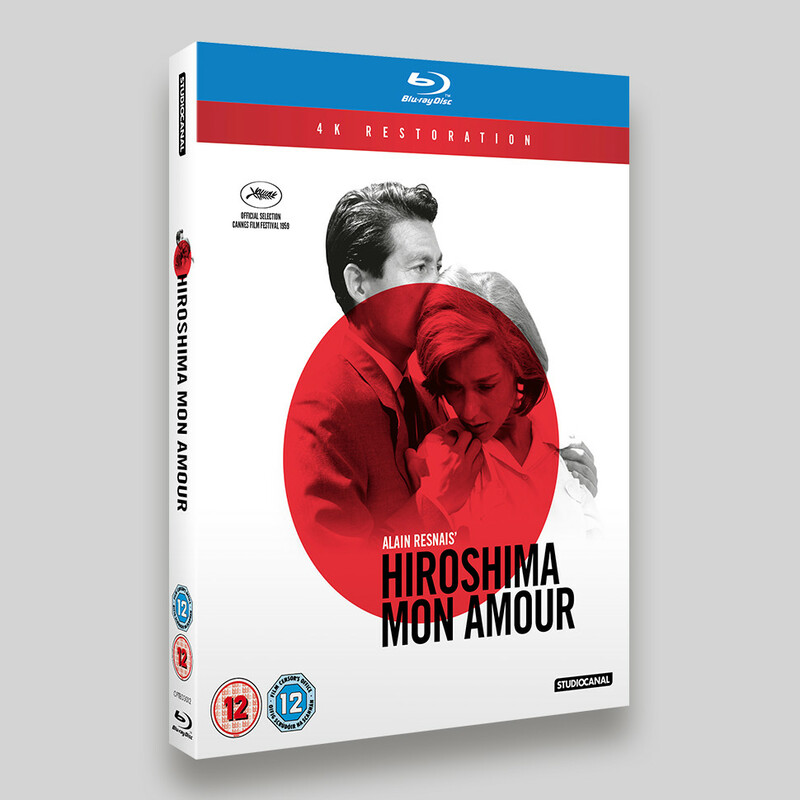 Featuring Emmanuelle Riva and Eiji Okada it’s the story of a brief and passionate affair in post-war Hiroshima. 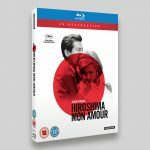 This was a catalogue release for the 4K restoration of the film. The visuals for this title explored a graphic/art based theme, using a stripped back colour palette and lots of empty space the sleeve attempted to evoke the feelings explored within the film. It’s always nice to be given creative freedom on a sleeve and explore some different routes, I provided some much more textured options, but the flatter colour option was selected. The positioning of the red circle and the characters proved the most work, trying to get the right balance between the space around the characters and the point at which the circle came between them. 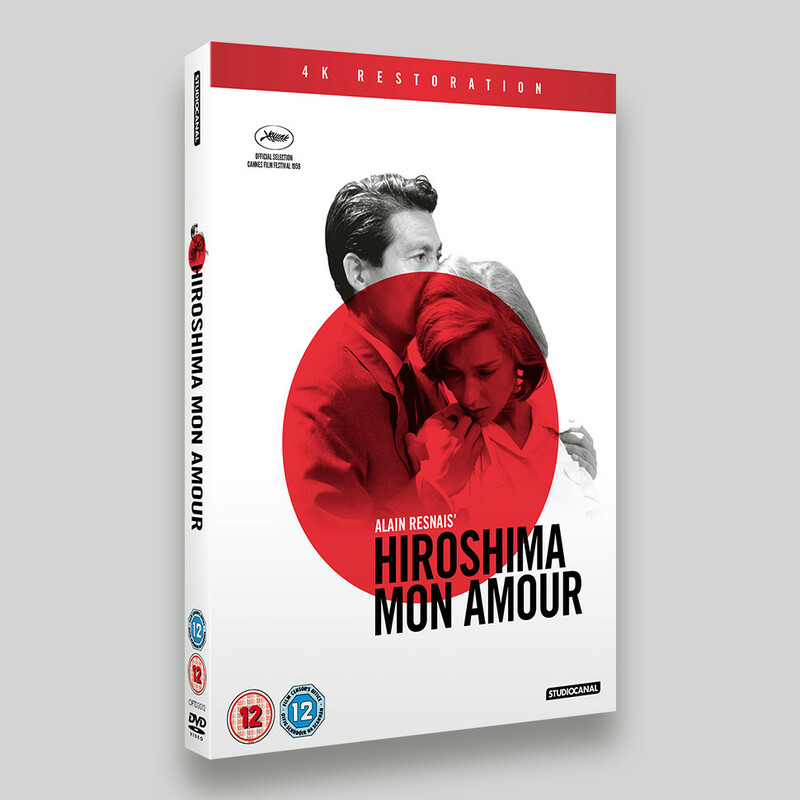 The DVD front, rather than the Blu-ray, I think is the more successful of the two, as it benefits from the extra white space.